The Nant Coch Baby and Toddler Group was established in 1983 as a service to young families in our local community. 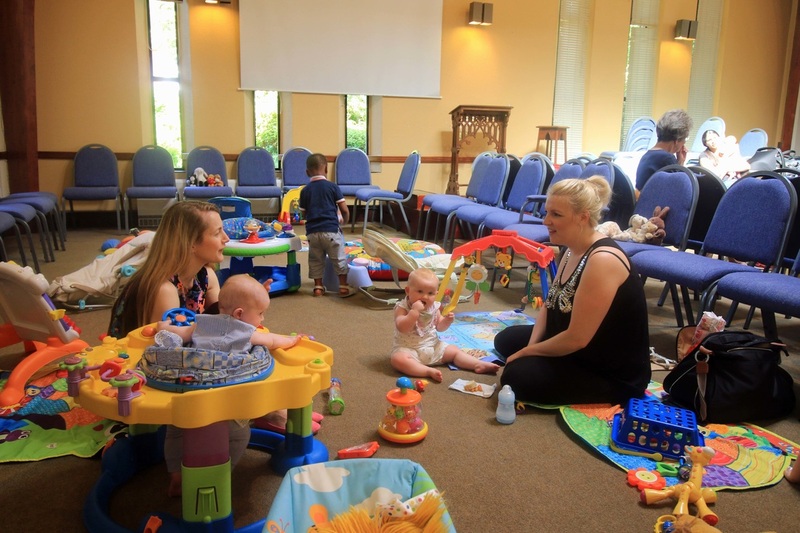 It provides an opportunity for the carers of young children to meet up with and make new friends in a toddler- and baby- friendly environment with a wide variety of age-appropriate toys available. The group is run by a committed and enthusiastic team who are on hand to provide support and a listening ear if required. We provide refreshments and a storytime, and craft activity for the older children. The group gathers together at the end of the session for singing. It’s ‘party time’ for the children at Christmas and again at the end of the summer term and for the adults we offer occasional special events and courses. Please send us an e-mail for more details. The morning session is between 10a.m. and 11.45a.m. and the afternoon between 1p.m. and 2.45p.m. and we meet during term times only. This term runs from 8th January until 9th April with a week off for half term on the 26th of February. Look out for our "new look" Babies and Toddlers this term!